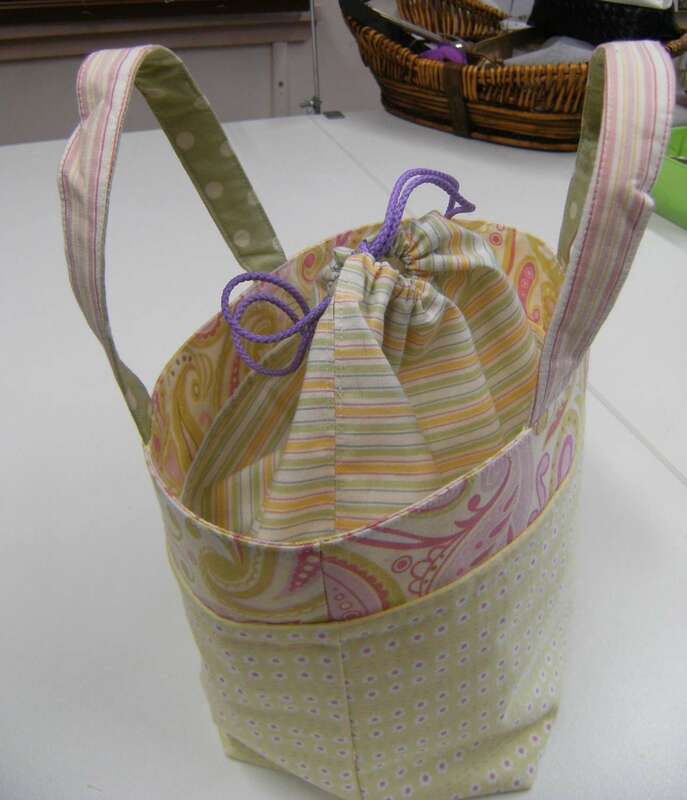 Susy Sew and Sew: Cute, cutey bag. 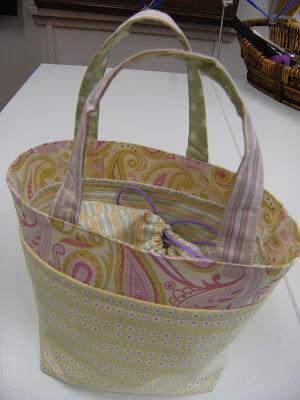 I decided I needed a bag to carry out a yarn project safely and after finding this tutorial , I fell in bag-love. I found the tutorial after spotting this blog post . All the fabrics were sourced from the quilting cotton stash and as I didn't have a heavy interfacing, I used a non-woven light interfacing I had in the cupboard and then just fused it multiple times (two or three, depending on where it was). It seemed to work ok.
Shame I didn't think about the stripe matching when I cut the pieces... oops! 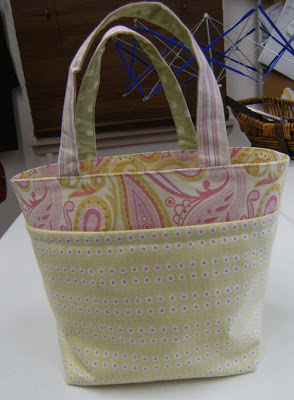 My friend Kelley has sewn this bag along with me so you can see another cute example in this post. Ciao for now! Nice job! I'm really glad we had a sew-a-long for this bag. 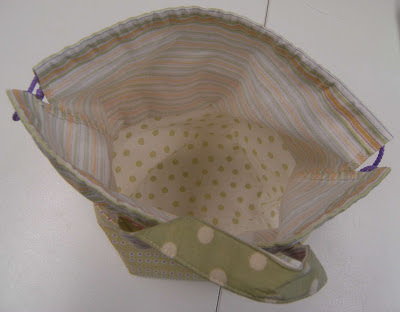 Now I know better how to choose interfacing for my next bag. Thanks for the encouragement. Very cute bag, love the colours! Lovely, and all from stash, too! The drawstring detail is great. That is really cute! I like the drawstring solution for a closure. I'll have to check that out. This is a cute bag! The drawstring closure is a great idea; I like the way you could keep knitting with all your yarn tucked inside safe from rolling out when you have to tug on it, and just the strand you are knitting coming out the hole! More knitting - slouchy cable beret.